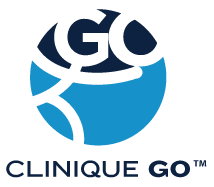 Clinique GO™ offer in-home acupuncture services in Montreal, including Greater Montreal, Laval, Longueuil, Monteregie and the North Shore of Montreal. Acupuncture is a part of Traditional Chinese Medicine that consists of inserting needles into the surface of the skin in particular points, called acupuncture points. These points are located along pathways called meridians. Energy that the Chinese refer to as Qi is said to flow between these points along the meridians. The meridians allow the energy to circulate to different parts of our body and enable their proper functioning. By using the synergy of these points an acupuncturist may heal problems within the body. Your acupuncturist will assess your energy balance in order to determine which points need to be stimulated. The combination of points stimulated will have different effects on your body and organs. Your acupuncturist will determine the optimal combination of points to stimulate in order to help you. 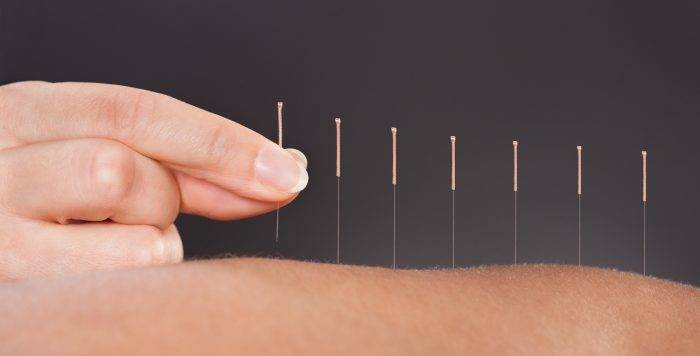 An acupuncturist may use not only needles but a wide array of equipment such as suction cups or magnets to help blood flow and accelerate the healing process. Clinique Go’s acupuncturists are members in good standing of the Association of Acupuncturists of Quebec. To alleviate pain: muscular problems, lumbago, fibromyalgia, sciatica, reflex dystrophy, headaches and migraines, etc. To treat sleeping disorders like apnea, insomnia, fatigue due to time change or jet lag, etc. To help prepare the body for pregnancy or pregnancy follow ups with perinatal pains as well as for inducing labor, etc. To improve skin conditions such as eczema or psoriasis, etc. To help improve different digestive issues such as irritable bowel syndrome (IBS), constipation, etc. To help respiratory problems such as chronic coughs, asthma, sinusitis, allergies, etc. To treat addictions to drugs, alcohol, tobacco, etc. To help reduce stress, anxiety or depression, etc. Who should see an acupuncturist? Since many issues, as mentioned above, can be healed with acupuncture, people of all ages can benefit from acupuncture sessions. A pregnant mother suffering from intense pain or an adult with addictions or digestive issues can consult an acupuncturist. Children affected by bed wetting (enuresis), anxiety, ADHD, temper tantrums can be helped, including their families. People fighting cancer can benefit from acupuncture sessions. It will allow them to handle their stress, appetite and fatigue etc. better before or after chemotherapy. Which areas do our acupuncturists travel to?